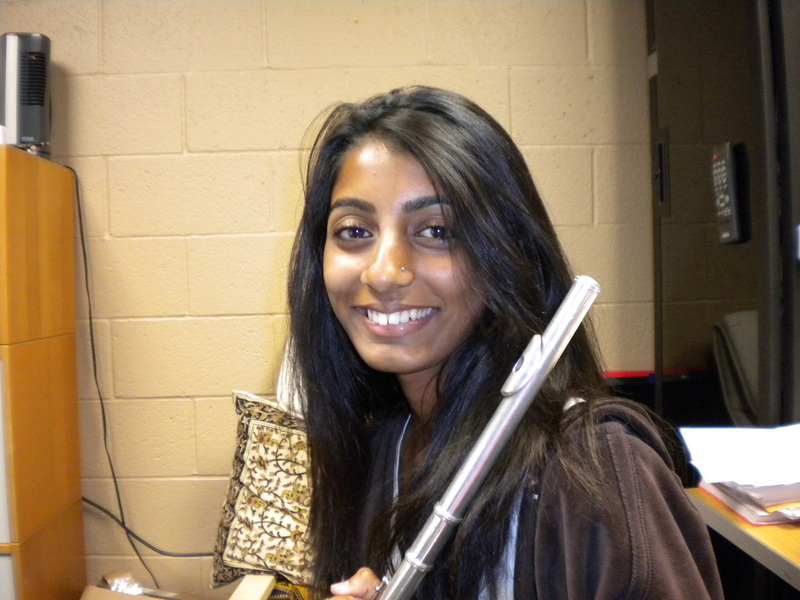 Sirisha Varigonda - Flutediva - Hard work beats talent when talent doesn't work hard. Sirisha Varigonda is a freshman at U. C. Berkley. She is Majoring in Engineeering and Flute. Last year she was first chair in the Wind Ensemble at Westview High School (she was 1st chair for all four years). She is the flute section leader in the band. Sirisha has a gift for the flute. She instinctively plays with beautiful expression. Her beautiful expression is a reflection of the beautiful person that she is. She is an example of how to be to all the other flute students. She is humble, kind, helpful and supportive, generous and has a wonderful sense of humor. She is always the first to offer a helping hand or to offer another student advice. She would never complain if she was paired with a student of lesser ability but treat the other student as a complete equal. She has never had a superiority complex, despite never having lost a competition (she has always placed or received a superior rating in every competition she has entered since 7th grade). She has also been selected to perform int he All-State Honor Band and CMEA County Honor Band. And All-Southern this year. Sirisha would like to double major on Flute and Imagineering (Disney Engineer). Did I mention she was Disney's number 1 fan?